Dish Network is rumored to be preparing a new Blockbuster streaming-movie service that will directly compete with Netflix. Sources close to the program say it will be launched in October and has been designed to coincide with price increases implemented by Netflix, pricing that has caused many customers to flee the service. Netflix recently upped the cost of their services, charging $7.99 for streaming-only service while DVD-by-mail prices rose by 60 percent to $15.98 for one DVD-at-a-time along with online streaming. According to an inside source Dish Network has yet to set a price for the new service. 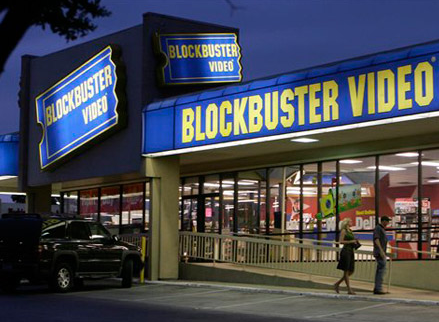 Dish Network acquired all of Blockbuster’s assets in April for $320 million and since then they have been attempting to transform the company into a direct Netflix competitor, recently providing new Dish Network customers with three months free DVD-by-mail service. If news of the new service is true it may also come with an added bonus, the ability for customers to purchase on-demand Blockbuster movies which Dish satellite customers can watch on TV sets. Since acquiring Blockbuster Dish Network has been in talks with studios, some of which already had contracts in place preceding Blockbuster’s bankruptcy. In what can only be described as the biggest blow yet to Netflix the company is also said to be working with Starz to provide various movies to customers. Starz recently announced that they would end ties with Netflix when their current contract ends in February 2011. Currently 8% of movies watched on the Netflix streaming service come from Starz content which has exclusive deals in place with Disney and Sony Pictures. If the price is right I have a feeling many Netflix customers and former customers will give the new Blockbuster service a try. Would you be willing to make the leap from Netflix to Blockbuster?